What's more badass than parking your $1.5 million Italian race car in your $8 million condo? Absolutely nothing. 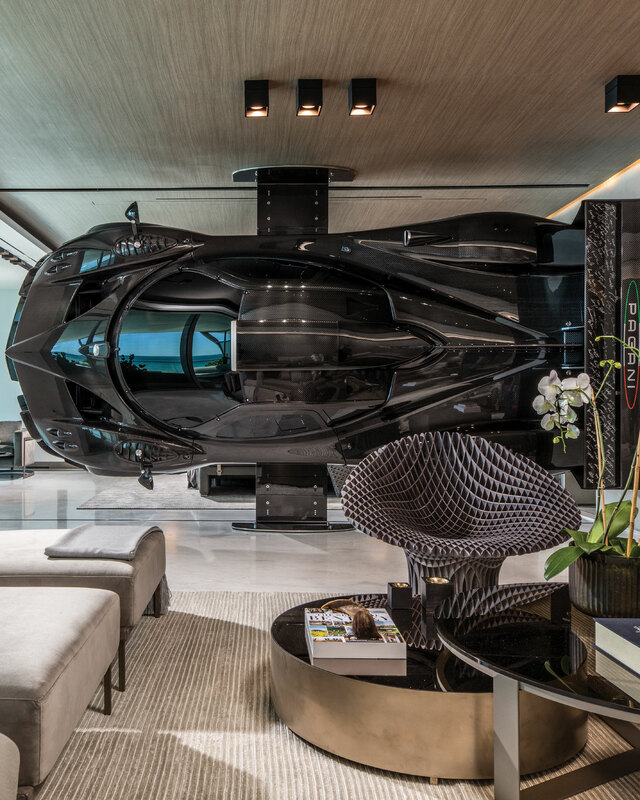 The mounted Pagani Zonda R acts as a partition between the master bedroom and living room. At 800 pounds and capable of clocking in a top speed of 218 miles per hour, the Pagani Zonda R is one of the world’s wildest supercars. And with only 15 made each year, it’s also one of the most exclusive. If you happen to own one, you are very, very fortunate. (And likely have a very, very large fortune.) But here’s the catch: The Zonda R is not street-legal. It is intended only for private tracks. So what’s a collector of Italian exotica to do? Mount it in their $8 million oceanfront apartment. Obviously. A custom Artefacto sofa and Desert lounge chairs provide optimal seating to take in views of the Pagani—and the Atlantic. 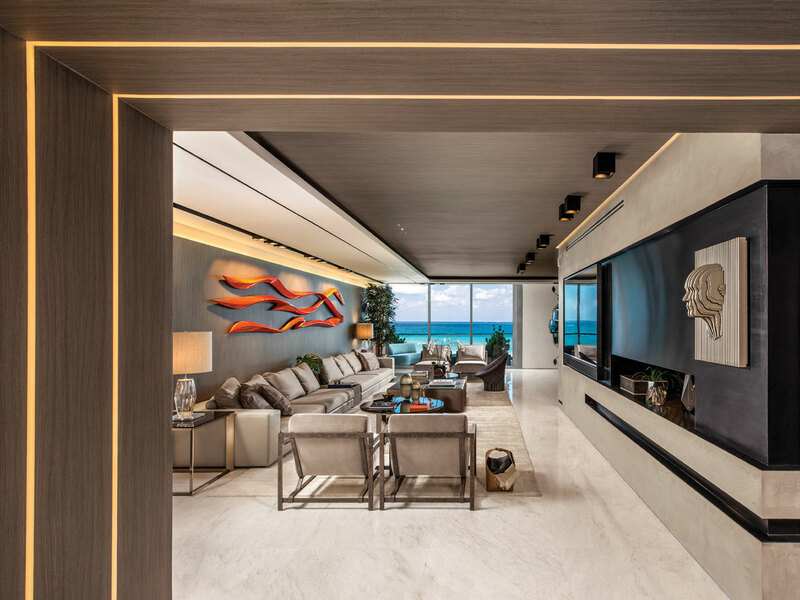 With a crane—plus the services of Artefacto Home Staging and luxury construction company Finish My Condo—one Pagani Zonda R now lives several hundred feet above sea level. It was hoisted in through the balcony and mounted on an aluminum and carbon fiber stand that creates the illusion that the vehicle is floating. Rather than a roaring crowd and checkered flags, it’s surrounded by Artefacto’s signature warm contemporary furnishings, including a sprawling sofa and geometric tables. So while this particular Zonda R may some day see that race track, for now a view of the glimmering Atlantic and sandy white beaches will have to do.